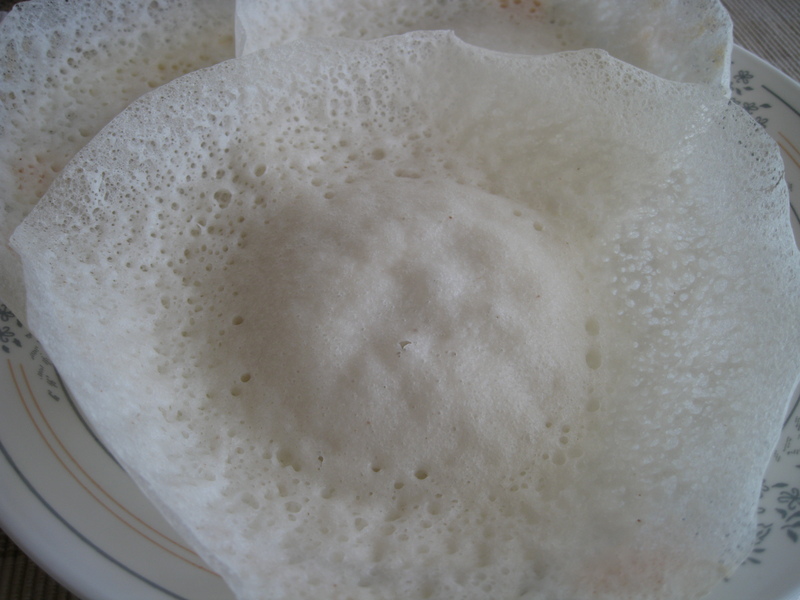 Appam is a popular Kerala breakfast dish. Appam is traditionally served with potato stew. It can also be served with egg curry or potato korma. 1. Soak 2 cups of rice for 4 to 5 hours. 2. In ¼ cup water mix yeast, sugar and salt for 5 minutes. 3. Grind the soaked rice, coconut and the cooked rice to a fine paste. 4. Add the yeast mixture. 5. Blend again and keep overnight to ferment. 6. Check the consistency of the batter. It should be thinner than dosa batter. 7. Add baking soda before making appam and mix nicely. 8. Pour a laddle in the appam chatti (special vessel to make appams). Swirl around so that the batter spreads evenly. 9. Cover and cook on slow flame for 5 minutes.